Proper process control is vital to any industry. If your control is not done optimally, not only may you affect the safety of your operation, but also your efficiency and profitability. In this respect, very careful attention must be paid to the PID controller. These devices are used to control a host of different applications, and their optimization cannot be emphasized, enough! They are often incorporated into the Distributed Control System (DCS). This PetroKnowledge training course takes over, where basic instrumentation courses end off. It assumes that the delegates already understand measuring devices for level, temperature, pressure and flow, HMI basics, PLC basics, etc. It really focuses on process control in greater depth, which is pertinent to PID controllers, progressing from basics right up to advanced options. The training course is presented in a manner that is easy to understand, and then to apply. It is vital that everyone, who is involved in PID controllers and loop tuning, are taught the fundamentals and techniques as thoroughly as possible. Delegates will understand ALL of the technical terms associated with PID controllers as well as process control. The will be taught to implement excellent loop tuning techniques and strategies and apply their knowledge in a useful and practical way. 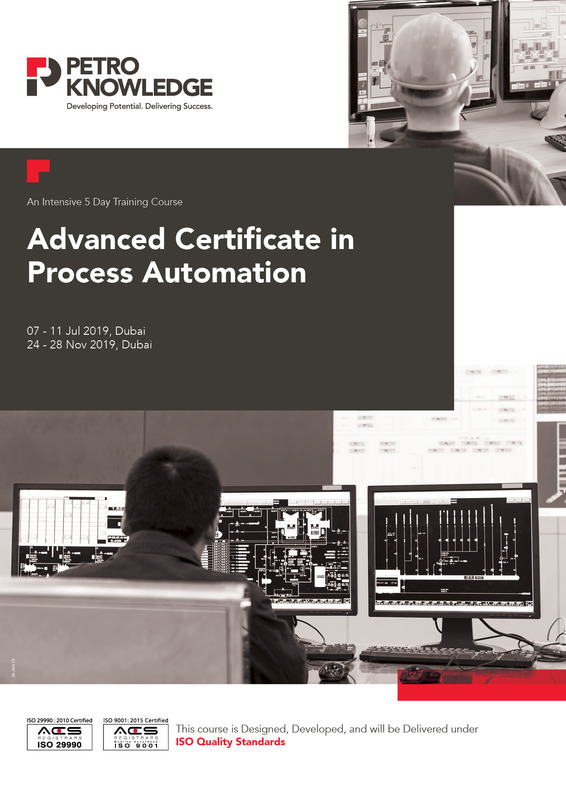 Following this training course, delegates will be able to interact effectively, with plant management and other engineers, regarding all aspects pertinent to process control and advanced PID controller tuning. This PetroKnowledge training course will utilise a variety of proven adult learning techniques to ensure maximum understanding, comprehension and retention of the information presented. The training course focuses on applications typically found in Petrochemical industries. It has been designed to have a roughly 50-50 split between theoretical and practical sessions. Modern training techniques are utilized, and delegates are encouraged to use this opportunity to learn as much as possible, in an environment conducive to the sharing of knowledge. A user-friendly simulator is used. The material is of such a nature, that discussions flow freely, and questions are encouraged, at any time. At the end of each day, an additional wrap-up session is included, to ensure full understanding of all course material covered. Combined feedback and feed forward, integral windup, etc.